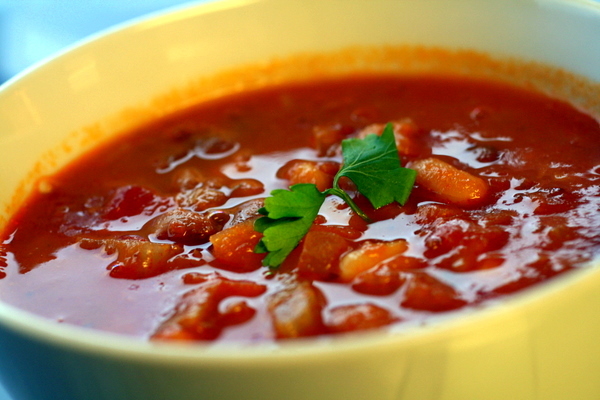 tomato, pancetta and bean soup…. It’s wet, it’s cold, it’s winter and I’ve got my cooking mojo back – YAY!! I’ve been a bit lazy in the cooking front for the last while. This little blog is going nearly 3 years now and it is hard to cook something new every week, for the last while I’ve just been cooking my old reliables and didn’t even look through a cook book but I spent the last few days sorting out all my cooking magazines, I signed up for a yearly subscription for Taste Italia magazine as my local Easons doesn’t stock it anymore and took out the Silver Spoon again today and cooked Lasagna Napoletana. I’ve never cooked this before, the MIL always cooks it on Christmas day and it would usually be cooked for a special occasion in any Italian household in the South of Italy and is always cooked by the “mamma” or the “nonna” so I’m feeling pretty proud. There’s a bit of work involved in it but I’ll post it anyway during the week. I often make this minestrone but it’s always wintertime so I can never take any photos because it’s too dark so I made the effort to keep some and take a pic the next day. My sister and her hubby stayed with us for a week recently and I had a big pot of this bubbling away on the cooker one night when they were heading out without their bambino for dinner for the first time in ages. They nearly cancelled their reservation upon tasting this, I had to drag the 2 of them away from the pot and convince them to leave. 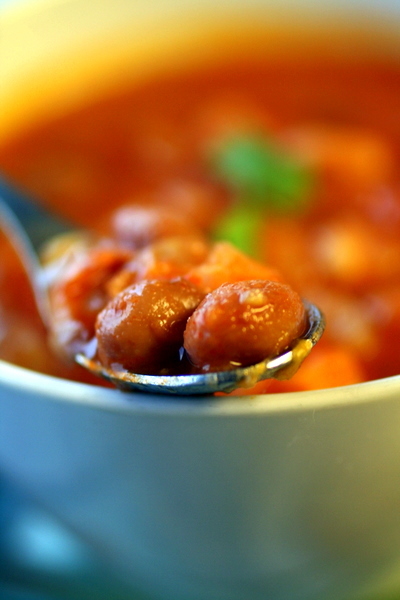 Minestrone is one of those underestimated dishes but is so tasty when executed properly. I blitz it for the princess as she won’t eat veg as you know and she wolfs it down everytime so it’s a great recipe for kids too. I make a big pot so it does us for dinner and lunch the next day. heat your oil and cook your carrots, celery and onions until soft but not coloured for about 10 – 15 mins over a low heat. add your pancetta and cook for about 5-10 mins until cooked. add your stock and tomatoes , bring to the boil, season and then leave to simmer for about 15-20mins. add your beans and leave to simmer for another 15 mins or until your veg is soft. Add a little extra stock or water if the soup gets too thick. add your parsley and extra seasoning if required. serve with lots of grated parmesan on top. « a rice dish for a princess…. I know what’s for dinner now anyway! This sounds and looks lovely. Perfect comfort food. I dabbled with minestrone a few years ago – the recipe I had was clearly designed for a feast day or to feed a small army. Delicious, but so much hassle to make that I have never attempted it again. Your recipe looks much more practical and tasty, so will give it a go. How is winter going in Ireland? Miss the place, have not been back yet since I moved to the UK last year. Hey stranger:) Do give this a go, it’s very good even if I say so myself:) Winter is going as horrible as ever and with a recession thrown in, it’s even worse. I just want to win the lotto….